The LAND Project is a partnership between the Center for Integrated Agricultural Systems at the University of Wisconsin-Madison; the Agriculture and Rural Development Research Institute (ARDRI) at the University of Fort Hare in the Eastern Cape, South Africa; and Kidlinks World, a youth and health charity that focuses on Southern Africa. The LAND Project is open to partnering with new organizations located throughout southern Africa. The son of Eastern Cape farm labourers, Mpumelelo grew up facing challenges similar to those currently confronting most rural people in the Eastern Cape. Mpumelelo’s journey from there to graduate degrees from Cambridge University and the University of Cape Town is equally a testament to him and to the real, if still rare, possibilities of South Africa. After years of working on sustainable development projects all across Africa, Mpumelelo committed to focusing his experience and expertise on his home region. 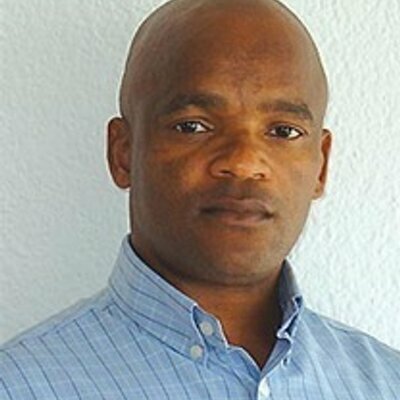 Hear Mpumelelo speak about his vision for the Eastern Cape here at TEDx Table Mountain, and here, at TEDx Prince Albert. 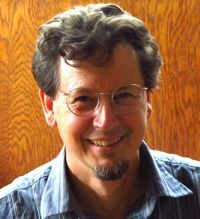 Mike is Vilas Distinguished Achievement Professor of Community and Environmental Sociology at the University of Wisconsin-Madison. He also serves as Director of the Center for Integrated Agricultural Systems, and is a member of the faculty of the Agroecology Masters Program and the Nelson Institute for Environmental Studies. Chance encounters long ago with South Africa’s Eastern Cape, and an email not overlooked, led him to develop a deep passion for this work. Liza grew up in Apartheid South Africa. She saw and lived the devastating effects of oppression on a divided population. Through years of witnessing the injustices of oppression, she, at a young age, realized how much difference a little compassion can make in the life of a disadvantaged child. With a group of expatriate South Africans, Liza co-founded Kidlinks World, the culmination of her desire to make a difference in the lives of underserved children and their communities, who have the will to help themselves. Dr. Aliber is an alumnus of the Department of Agricultural Economics at the University of Wisconsin-Madison. Shortly after finishing his degree, Dr. Aliber moved to South Africa where he now teaches undergraduate and graduate courses, supervises students, and manages ARDRI and its various research projects. Dr. Aliber is an expert in agriculture policy, including South African land reform, and rural agricultural development. Valerie works with Dr. Jonathan Patz and Dr. Michael Bell in the Nelson Institute’s Environment and Resources program at UW-Madison. She has also worked on numerous community development and health projects in the United States and abroad, with both non-governmental organizations and the United States Agency for International Development (USAID). In addition to her research, Valerie co-leads a field course to South Africa each year with the LAND Project, and is a co-founder of MIGHTi: the Mission to Improve Global Health Through insects — an interdisciplinary research initiative working in the United States and Zambia.